Throughout their span in the world of landscaping, sprinkler control mechanisms have been a bunch of clunky choices. Most have a basic rotary dial, an array of switches and possibly a basic LCD monitor. Changes are coming more frequently now with the introduction of smart sprinkler controllers. The updates are emerging from startups that are looking to bring systems into the 21st century and venerable companies that modernized their gear with more sophisticated mechanisms. Your irrigation system is a critical component in the landscape around your property. 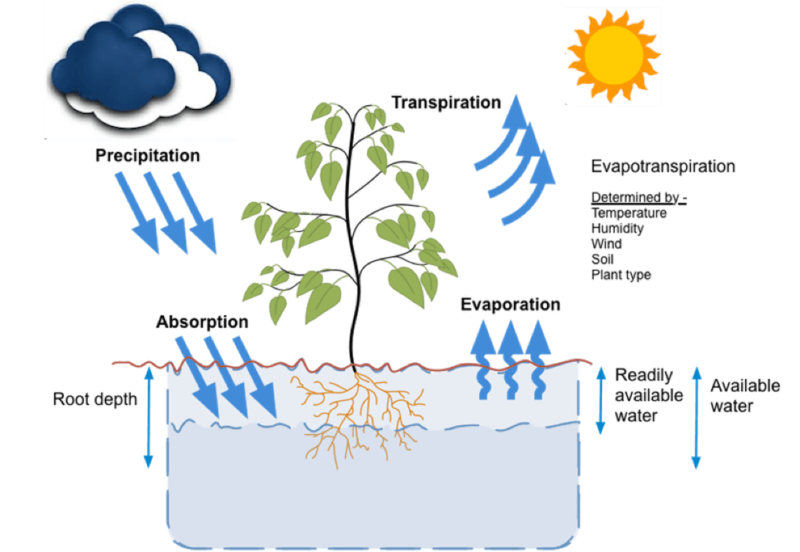 Changes in the weather require monitoring and adjustment of the system to avoid over or under watering. When an irrigation controller is adjusted and reprogrammed only a couple of times a year, overwatering can result. Irrigation breaks that go undetected can also waste water. 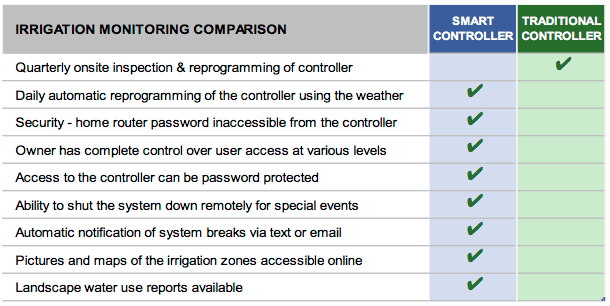 With traditional systems the irrigation technician or homeowner would adjust the controller quarterly. The irrigation controller was typically reprogrammed for the estimated weather conditions for the next three months. A check of the system at that time would indicate any leaks or breaks unless something was obviously broken. Some irrigation leaks only become evident when the homeowner gets an abnormally high water bill weeks after a leak started. With a SMART controller installation that have flow sensing, the controller is adjusted daily based on the weather with immediate feedback on breaks or leaks. A flow sensor on the irrigation mainline measures landscape water use and detects leaks and breaks in the system every time it runs. This provides timely information that previously may have gone undetected for weeks or even months. A product that we like is the Hunter Pro-HC. Below is a breakdown of their equipment. 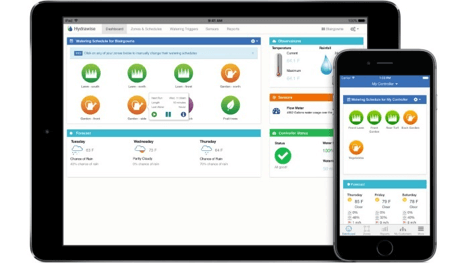 How does the SMART system save you water? Earlier controllers worked in a way that is akin to a sophisticated egg timer. New SMART controllers are computers that evaluate local weather forecasts and the amount of flow coming from each valve that controls and monitors the watering. Every day the weather changes and the amount of water required changes. The system will adjust for that. If the sprinkler head was to malfunction more water flow would through the zone. This system senses that and notifies you so that it can be remedied faster. How does SMART controller sense the weather conditions to make adjustments? SMART systems adjusts to the various environmental factors which influence the amount of water that is required on your landscape on any time. Local weather stations monitor these factors and the findings are called ET or “Evapotranspiration”. 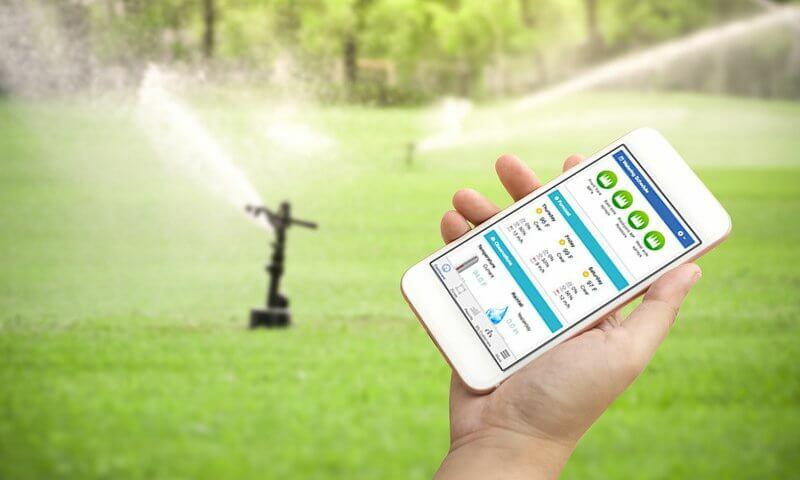 The SMART controller uses the daily ET number to regulate the amount of H20 delivered to each zone based on the plant/sprinkler type, landscape conditions and various factors. Using WIFI technology, your Pro-HC controller will connect to the local weather stations. The status of the system is always available and will allow you to use a Phone/Tablet app to manage the system remotely. If a line were to break or even have a detectable leak, it is sensed and will inform you about necessary repairs and zone location. You won’t find many smart irrigation products designed to work with garden hoses or off-the-rack systems, many are manufactured with compatibility in mind. They will work with a traditional irrigation controller which connects to a water supply and includes automated valves and tubing which controls the water. Installing a traditional sprinkler system is a big project and will require the expertise of a professional. You can, however, step up to a smart controller with relative ease. Maybe the single most important decision to consider for a controllers is choosing one with (or without) manual controls. This choice is valuable if you want to give a landscape service access to the controller. Without on-device controls there is no indication of activity other than maybe a status light. Choosing no manual control will obviously require a mobile app. If mounting outside a weather proof enclosure will be required for the system. Some manufacturers sell separate indoor/outdoor options. Others offer an enclosure as an add-on purchase. In irrigation jargon, the zone is an area which will be controlled by a water valve and appropriate tubing. Four valves equals four zones. The controller will need to have the capacity to handle zone requirements. Eight zones is typical and some systems will handle up to 16 zones. What do you envision as your watering needs? Not all controllers will be able to manage complex schedules so be diligent about reviewing options. Some of the “smarter” controllers can import any watering restrictions in place for your zip code to ensure you are in compliance with local regulations. 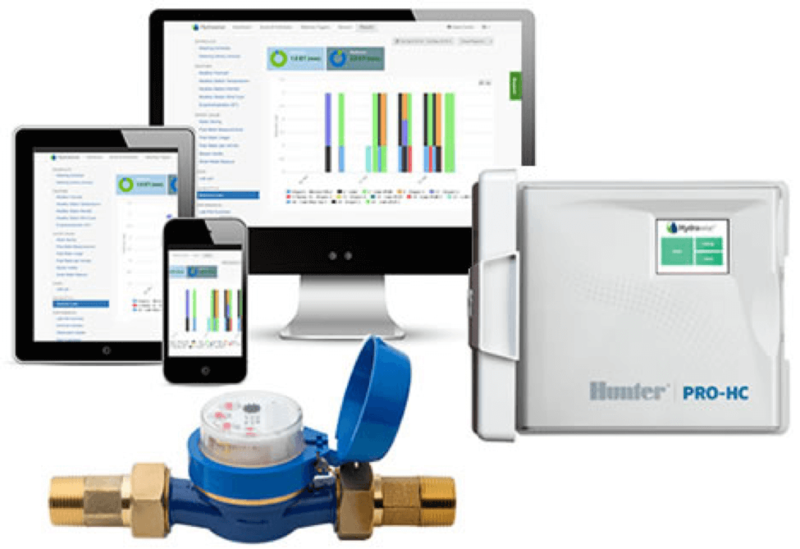 If you are ready to step up your sprinkler system, a “smart” product like the Hunter Pro-HC could be a terrific option for you. Due of a bit of research, or talk with a local landscape professional to get their opinion on other smart products that are good for your landscape needs. Flow sensor installation requires a single point-of-connection for the irrigation system off of the water main with wires run back to the controller. As these are mandated by State and Local codes, many systems already have Master Valves.